August 16, 2016 August 16, 2016 / Elizabeth T.
In the scorching August heat, sometimes the only way to not literally melt is to wear a tank top. But just because we’re dressing for the weather doesn’t mean we have to forgo style, right? Although I got the tank in size extra small, it still fits me almost like a mini t-shirt dress, but it’s still just a little too short to wear alone, so I opted for a pair of leggings underneath. I know I could pair the tank with a pair of shorts for a summery look, but I really wanted to create a monochromatic ensemble to help elongate and streamline the figure, since the boy tank doesn’t really hug the curves at all, which can make the top half look a little boxy if worn otherwise. Opting for a pair of black leggings with a few white stripes to embellish the leg, I’m able to break up an overload of monochrome to prevent myself from getting lost in a sea of black. It also helps to tie a plaid shirt around the waist to emphasize a more feminine silhouette despite the boyish clothing items. An added bonus – it adds just the perfect little pop of color. How would you style a boy tank? 🙂 And are you also a fan of the sporty chic, athleisure trend as well? Let me know in the comments below because I always love hearing from all of you! And I also hope you all enjoyed these photos! It was so much fun shooting this particular look because of the location! Wishing you all a great week ahead! I definitely ned this tank! 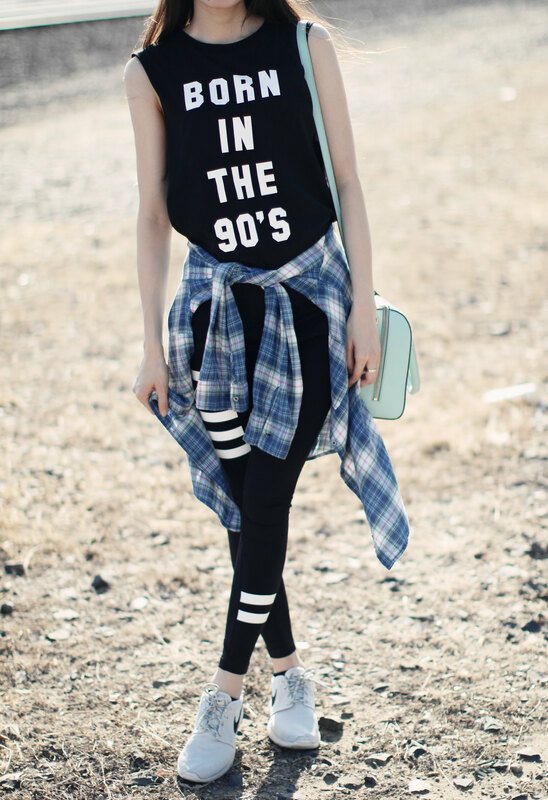 I’d styled it with high wasted denim shorts and some converse! 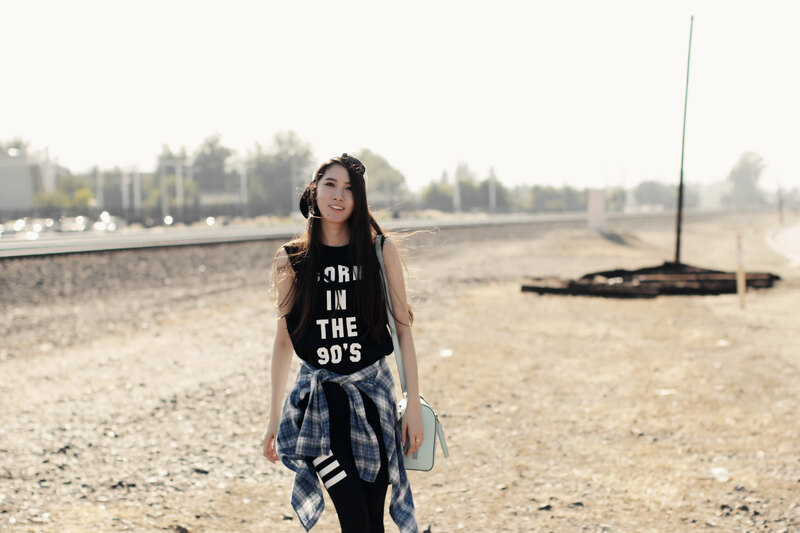 Love the way you styled too! Hahaha yes, this tank is amazing (and super comfortable too)! 🙂 I think it’d look great with denim shorts and Converse – an edgier ensemble ❤ Thanks for stopping by Tamara! 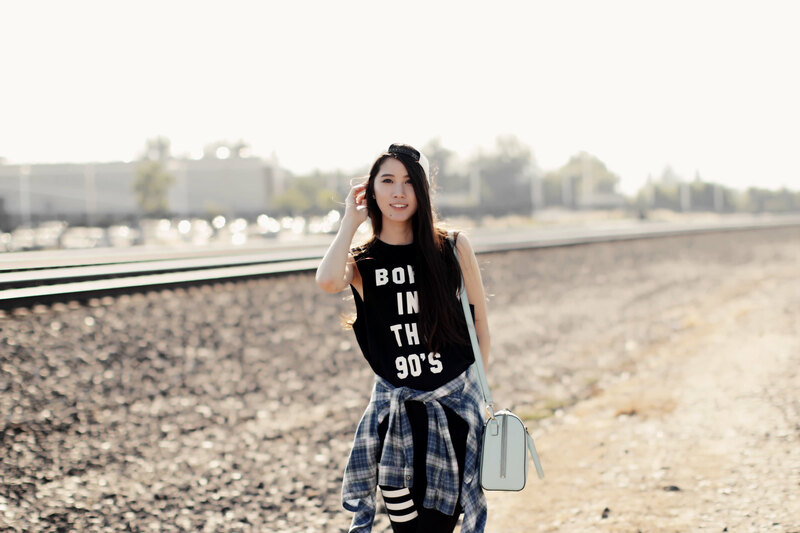 Love this cool, casual look! Love the tee! Thank you so much Suzie ❤ 🙂 Haha casual looks are oftentimes the best, don't you think? Aww thank you so much love ❤ 🙂 You're too sweet! Hope you enjoyed this post! 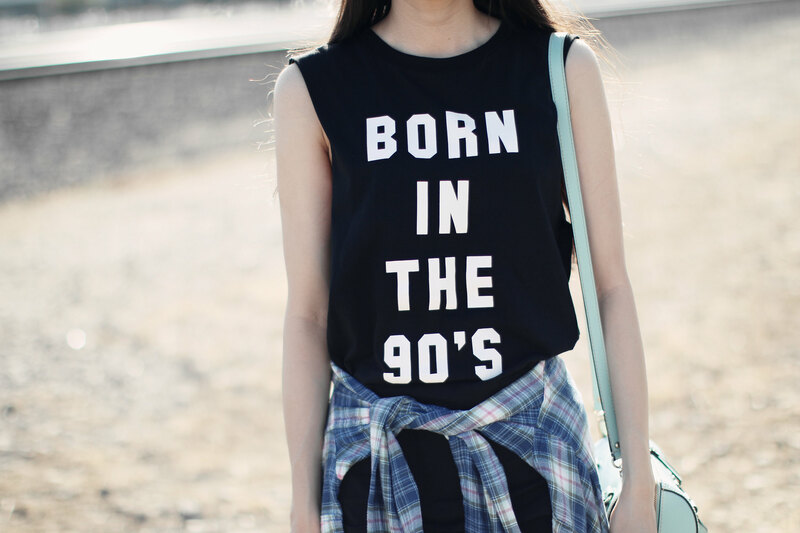 I was also born in the 90’s – 1995. So loved reading this! Please check out my new post. Love this outfit, super stylish! Thank you so much ❤ 🙂 You're too sweet! 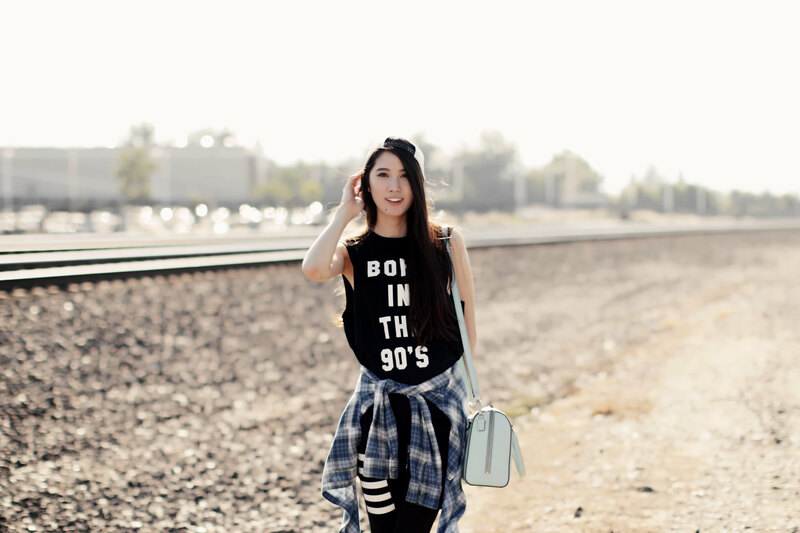 Such a great sporty chic look! love it! Thank you so much Annabelle ❤ 🙂 Haha and yes, wearing boy shirts with skirts really does make for a cute contrast!